This blog in continuation to my earlier blog on "FOSSASIA 2015 Highlights noticed by me"
Glibc is an important component of operating systems. Recently we upgraded Glibc Unicode support from 5.1 to 7.0. This was major update after 4-5 years. It usually remains unnoticed, i wanted to highlight. Even though i work for redhat still it took around 7-8 month to get patch finally in glibc upstream. Around 25-30 audience was there in talk and it was well taken. Slides for my talks are available at slideshare. Fedora Breakout session. This was planned by Praveen Kumar, we gathered there, not many attendees were there but we got a chance to interact with "Hamara Linux" representative Aarti Dwivedi and Samyak Datta, LifeNectar explained them regarding Fedora, Fedora.Next and also on widely used Fedora remixes. 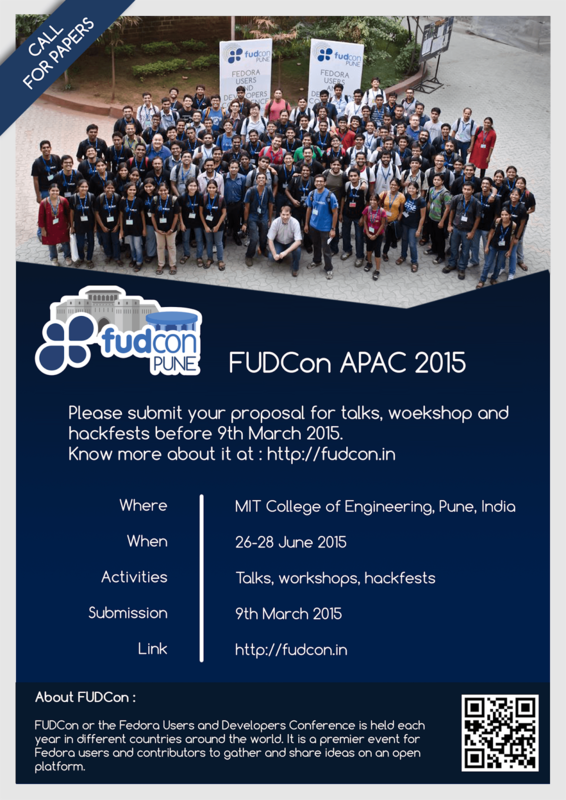 Being one of the member of organizing committee thought its good time to discuss on FUDCon APAC 2015 with people mostly participate remotely. We planned BoF, decided to do it in lunch time since most of the time people were busy doing other stuff. Updated group on number of papers received, planning happened till date, BarCamp style track, lightening talks. #Fedora and #FUDConin BoF today at #FOSSASIA.. Venue: Near Lunch Place, Timing: 12:30 to 1PM. Working in this domain almost 8+years and worked on almost all complex scripts including Indic, Arabic. APAC is more characterized by non-english speaking countries and fossasia was the perfect place to interact with users for globalization needs. Interacted with couple of people for what languages they used on Fedora. I attended almost all talks in OpenTech track and provided feedback to speakers. Had a good time interacting with most of the attendees over the lunch, socializing events. We had a nice hangout of brewerkz with Anish, Kushal, Praveen Kumar, Lennart Poettering and Rémi Denis-Courmont. It was good first day with no parallel talks. I liked the approach, starting parallel tracks from day first sometime start splitting audience. Talks on first day were more generic. People also got a chance to know, how many people around and started planning hacking activity for coming days. Talk from Dr. Vivian Balakrishnan, Minister of Singapore was well taken by audience. Very few such ministers around who understand technology so well. Happy got a chance to listen Dr. Vivian Balkrishnan @ #fossasia Wish get more ministers in world thinking for foss. Second day started with 5 parallel tracks. OpenTech, Web Technologies, Python, Mozilla and DevOps. I attended almost all talks in OpenTech Track. Even though there was 5 tracks each track got sufficient audience. Before lunch we took group photo. It was fun, whenever we were thinking all are in now, one new batch of people were joining and then again trying to accommodate all frame. Thanks to Michael Cannon for photo. One of the good points was almost all domains people were present. Even we had some talks related to Open Source in Healthcare AutistConnect, LifeNectar and OpenMRS. Lightening talks generally does not get scheduled but in fossasia those were scheduled. I will say it as a good move. First it gave speakers recognition and also might have given them chance to get funding for conference. Second since it was scheduled it happened in well planned manner. Some audience missed few talks due to minor schedule change in lightening talks. Still i will say lightening talks made good impact. Specifically it worked like person introduced his topic and requested audience to join breakout session for further discussions. Plenty of rooms were available for breakout sessions. Each day was followed by some social event. 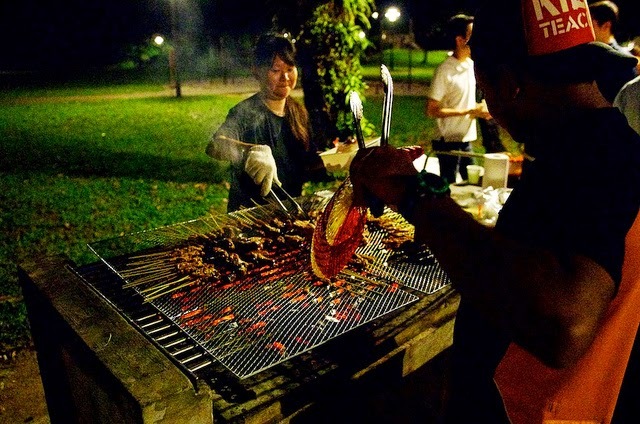 Going to remember social event at Labrador park seaside Singapore BBQ definitely for some more time. Did not attended other days social event since some other plans. had one of the best dinner from #fossasia @ labrador seaside BBQ, hats off for organizers for an arrangement !! I think due to huge success of fossasia2015 organizers decided to choose same location for next year fossasia as well. Number of booths were available, Dron demonstration was also interesting. Mozilla, MySql, 3D printer, Red Hat. Just thought good to write this small blog as a reminder for deadline for CFP submission . We opened up CFP on 9th Feb, its almost one month before closing CFP tomorrow. As of now we have got an excellent response from community from paper submission perspective. Still one day to go. From my personnel experience i know lots of submissions happen on last day :) Expecting few more on last day. Just make sure to think select appropriate category for your sessions. If not sure, go ahead and submit abstract, during screening will try to suggest suitable category. 5. Lots of decision from conference arrangement perspective. Including Food, FedPub and Speakers accommodation. 7. Reached lots of organization with CFP details.